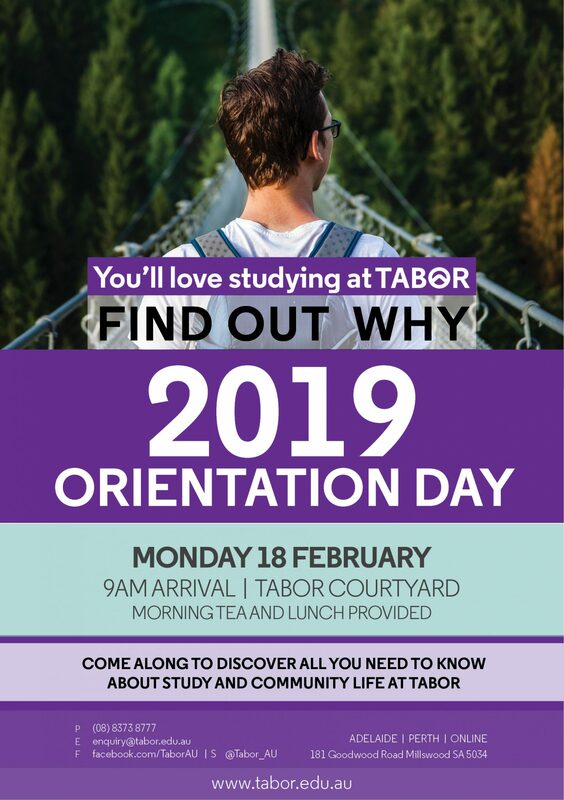 TABOR welcomes all new students beginning their studies in 2019 to come along and discover all you need to know about your study and community life at Tabor. More details about the schedule for the day will be released throughout January – Follow Tabor’s Facebook page for up to date announcements! View our Facebook event for updates!